A limited number of rooms have been set aside for PDW/Summit attendees at the special rate of $133 plus tax per night. This workshop rate includes free Wi-Fi access in your room, but there will be a $9 per night parking fee assessed. 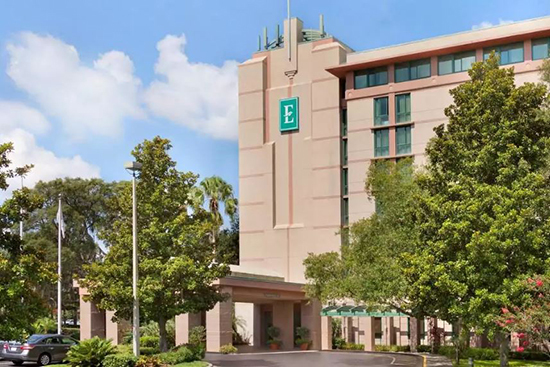 Reservations can be made by either clicking on the link below or by calling the Embassy Suites reservations department at (800) 362-2779 and mentioning the group code "Florida Public Transportation Association" to simplify the process. The hotel reservation deadline is Monday, May 13, 2019. NOTE: Hotel reservations (including cancellations) and related expenses are the responsibility of each Workshop registrant. Members of the Florida Public Transportation Association (FPTA) can register for FREE. Non-FPTA members will assessed a $75.00 registration fee that will be invoiced by the FPTA office.